What's the Toy You Just Couldn't Live Without? Earlier this week I wrote about Tinkerbell Cosmetics, my pink plastic childhood obsession. No doubt I begged, I pleaded, I whined. But everybody’s got some white whale from their early years. What was yours? Were you enthralled by terrifying Teddy Ruxpin? Barbie’s Malibu Dreamhouse? Were you desperate for an American Girl doll? Was it—come on, you can tell me—a Furby? 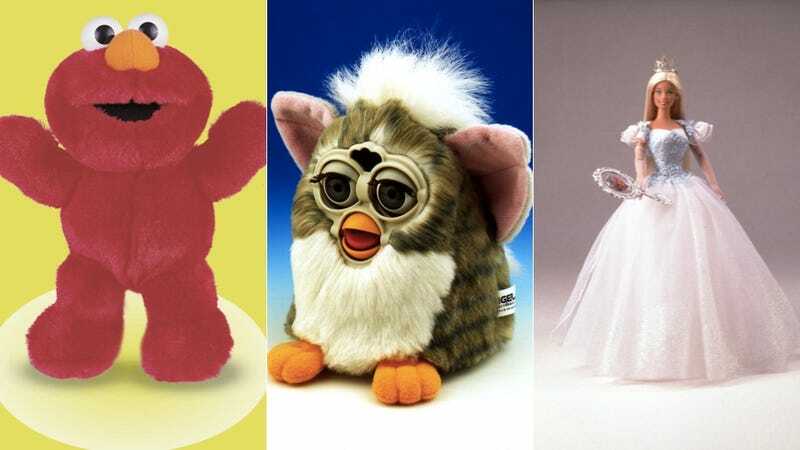 What’s the throwback toy you remember wanting most of all? What’re the toys you got and played with until they fell apart? ‘Fess up.